League One side Crawley Town have signed Crystal Palace goalkeeper Lewis Price on a one-month loan deal. The 30-year-old, who made five appearances during a spell at Mansfield last season, will be with the Reds until 20 December. Price has won 11 international caps for Wales, with the most recent of those coming in October 2012. 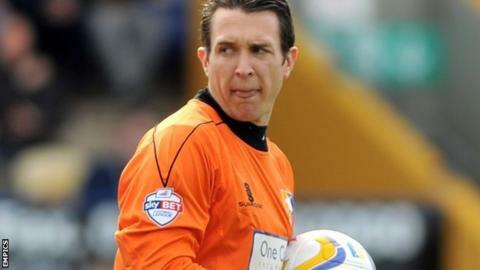 The former Ipswich and Derby stopper has featured 16 times for the Eagles since moving to Selhurst Park in 2010. His most recent appearance for the Premier League club came in the FA Cup in January 2013. "It's tough at Palace with Julian Speroni and Wayne Hennessey, who are two outstanding goalkeepers there," Price told the Crawley website. "I need to go and get games and this is a fantastic opportunity for me and one I am really looking forward to." Price will compete with Jamie Ashdown and Brian Jensen for the number one spot at Crawley - although Jensen was transfer-listed by manager John Gregory last week.